Cool! 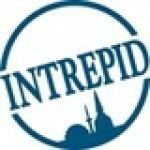 Save an average of 20% on Intrepid Travel with 23 Coupon Codes, and 9 Deals! Details: 20% off all trips - terms & conditions apply. Expires on 12/09/2013. Details: 15% off Selected New Year Trip Bookings. Expires on 02/28/2014. Details: 15% off all Real Food Adventures. Expires on 12/31/2013. Details: 15% Off trips in South & Central America. Expires 11/30/2013. Details: 15% off Rio Carnaval Bookings at Intrepid Travel. Expires on 01/31/2014. Details: 10% off Family Adventure Bookings at Intrepid Travel. Expires on 02/28/2014. Details: 20% off Selected Australia Bookings. Expires on 01/31/2014. Details: Broaden your horizons - Get off the beaten track and into an Overland Adventure with Intrepid Travel. Details: Get 15% Off on Any Sailing Trip in Greece & Croatia. dont just sit there - get off the beaten track and into a real life adventure with intrepid. Details: Dont just sit there - Get off the beaten track and into a real life adventure with Intrepid. Details: Conveniently remote - Get off the beaten track and into a real life adventure on an Intrepid Original journey. Details: 15% - 25% Off on Displayed Available Trips. Details: Back to Basix - Theres no umbrella following here: just freedom, flexibility and a whole lot of real life experiences with Intrepid Basix.